Side effects from fish oil supplementation are generally mild. Few are dangerous. The best fish oil supplements provide numerous benefits without the side effects, so it's worth your time to investigate the different types of supplements and brands and choose the one you think best meets your needs. 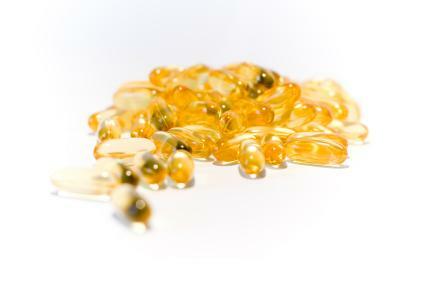 Fish oil supplements, although generally considered safe, are not without side effects. Individuals can avoid the side effects of fish oil by taking high quality supplements, reducing the amount they take, and taking the supplements at different times during the day. Side effects range from the merely unpleasant and inconvenient to the serious. According to the Mayo Clinic, fish oil supplements have a blood thinning effect that can lead to an increase in bruising. Some doctors recommend stopping fish oil supplementation before surgery, because it can increase the risk of bleeding due to its blood thinning properties. If you are planning on having surgery and take fish oil, disclose this to your doctor and ask for recommendations about stopping supplementation before your procedure. The National Center for Complementary and Alternative Medicine cautions fish oil may interact with blood thinning and clotting drugs. Provide your doctor and pharmacist a list of the dietary supplements and medications you take to avoid potentially dangerous interactions. Dr. Andrew Weil states taking very large amounts of fish oil may increase the risk of hemorrhagic stroke. Hemorrhagic stroke occurs when a blood vessel inside the brain bursts. Long-term brain damage may result. Talk to your doctor if you are concerned about this side effect. WebMD notes that some brands of fish oil supplements may also contain certain fat soluble vitamins as additives, including vitamins A, E, and D. These fat soluble vitamins can build up to toxic levels in the body. Therefore, it is important you read the labels of the fish oil you buy to determine exactly which vitamins they may have added and be careful about supplementing any nutrients also contained in the fish oil. A 2013 Fred Hutchison Research Center study found intake of fatty acids, including fish oil, increased the risk of developing prostate cancer. Conversely, an earlier study found fish oil intake decreased the risk. Another reported side effect includes an increase in LDL cholesterol levels in people taking high doses of fish oil supplements. LDL cholesterol, the so-called 'bad' cholesterol, is a normal part of the total blood cholesterol levels, but this is the one you want to keep low. One study found that fish oil supplementation combined with lowered intake of saturated fats lowered LDL, while taking fish oil without lowering saturated fat intake caused LDL to remain steady or rise. Researchers link large amounts of fish oil supplements to suppressed immune systems in some people. However, a 2013 study suggested the opposite, showing that fish oil supplementation boosted the immune system. If you have a suppressed immune system, talk with your doctor before taking fish oil supplements. There are certain things you can do to minimize or avoid side effects. Many of fish oil's side effects appear to occur at higher doses. The American Heart Association recommends getting most of your fish oil from your diet, and not supplementing your diet with more than 3 grams per day without a doctor's supervision. Starting with small doses and gradually increasing them can help minimize these effects, as can taking fish oil in smaller doses throughout the day. If you are experiencing gastrointestinal side effects, try taking the capsules with food. A food buffer seems to reduce the unpleasant side effects. Changing brands often helps alleviate the simple side effects like burping and nausea. Many nutritionists believe that these side effects indicate that the manufacturer cut corners and used inferior ingredients. Switching brands seems to help. Place the capsules in the freezer, which may reduce side effects. Choosing to supplement fish oil is a decision you should make with your doctor so you can carefully weigh risks versus benefits. While there is a great deal of conflicting research about fish oil supplementation, many of the negative results occur at high levels of fish oil supplementation. If, however, you get your omega-3 fatty acids from a varied diet that includes fish, nuts, seeds, fruits, and vegetables, you will be more likely to receive the benefits of fish oil and omega-3s without incurring the risks. If you do decide to supplement, work with your personal health care provider to determine the best type and dosage of fish oil to meet your individual health needs.